Radioluminescence can be used to provide a low level light source to allow instruments or signs to be visible at night or for other situations where light is needed for long periods without electricity, such as emergency exit signs. Paint with radium was the first radioluminescent product. 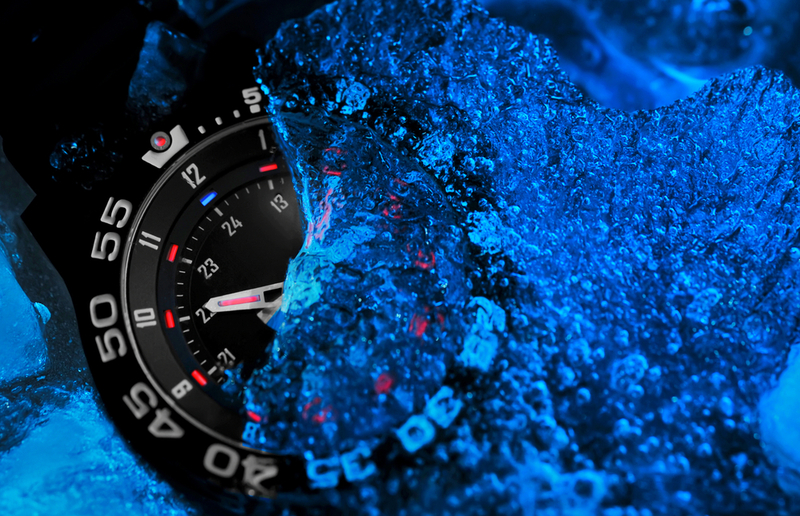 Today, tritium is most commonly used, primarily on wristwatch faces and gun sights. Small tritium lights can be made by sealing tritium and a phosphor layer in small glass tubes. Such a tube is known as a “gaseous tritium light source” (GTLS), or more commonly, a beta light (since the tritium undergoes beta decay). Tritium is a radioactive isotope with a half-life of about 12 years, which means the glass tube loses half its energy and some of its brightness in that period. So the types of GTLS used in watches generally have a useful life of 10 to 20 years. They give off a small amount of light: not enough to be seen in daylight, but enough to be visible in the dark. The more tritium that is initially placed in the tube, the brighter it is to begin with and the longer its useful life. The NRC regulates devices that contain small amounts of tritium. Manufacturers and initial distributors of these devices need to have a distribution license issued by the NRC. They also need to have a separate license to possess and use the material. This license can be issued either by the NRC or the state. [There are 37 states that have agreements with us to regulate these types of radioactive materials. They are called Agreement States.] Anyone who initially buys one of these products from someone who has the proper licenses and subsequent owners of the product are exempt from the requirements for an NRC license. Approval of these types of products would require extremely low risk of radiation exposures to members of the public from normal use, misuse or accidents. The NRC would also need to see the usefulness or benefits of the product. For example, items that could be mishandled, especially by children, will be approved only if they combine an unusual degree of utility and safety. Other countries have different regulatory requirements. That is why some tritium products available for sale internationally are not sold in the U.S. These regulations can be found in 10 CFR Part 30 and Part 32. What they say is not policed to make sure it is done. The NRC should encourage the phase out of consumer radioactive devices as soon as technology provides a non-radioactive alturnative. That would be the safe prudent path forward, to do otherwise opens the NRC to being called out for promoting radiation that is neither controlled or disposed of properly. Do we wait for deaths before preventing the use of a product, radiation lingers for a long time, when it causes health problems it will do harm for along time? Because other problems are greater then others do we attack the present worse one only. Bodies have many radioactive materials and are attacked by the radiation from the sun but to much sun kills humans so why wouldn’t more internal radiation do harm. Neither the TAP alarmists nor anyone else can point to a death, injury, or any other actual hazard from tritium in groundwater, which if you drank that water would still be insignificant in comparision to the thousands of natural radioactive disintegrations per second already taking place in all our bodies, plus the literally millions of free-oxygen radical insults per second. If this is supposed to be a “massive problem” I shudder to think of what an apocalype the air pollution of large cities is. It has an actual body count! Women and men are 2 common things that contain radiation. (About 5,000 internal radioactive disintegrations per second per person.) These should now be outlawed because technology has given us better options in which radiation is eliminated from the product, specifically robots and UAVs. How can we think about desalination when Fukushima is sending tritium to us? There will be a very long list, then, of things and places you will want banned, roped off, or criminalized. Both the CNSC (http://nuclearsafety.gc.ca/eng/resources/fact-sheets/tritium.cfm) and the NRC (http://www.nrc.gov/reading-rm/doc-collections/fact-sheets/tritium-radiation-fs.html) seem to disagree with you. Moderator: Some verbiage removed to adhere to comment guidelines. NRC, thanks for shedding light on tritium illumination devices. Now would you shed some light on uncontrolled tritium leaks from a number of different nuclear power plants? As I understand it all radioactive releases from nuclear power plants must be carefully controlled and continously monitored to ensure no releases exceed regulatory requirements. Environmental monitors adjacent to a number of nuclear power plants have detected tritium leaks. Why are these plants being allowed to continue plant operations? Exit signs and smoke detectors are 2 common things that contain radiation. These should now be outlawed because technology has given us better options in which radiation is eliminated from the product, specifically LED with battery backup and photo-electric smoke detectors. Canada has no regulations for tritium on exit signs.